»Authors»Is Your Book on the Taste Test Table? Is Your Book on the Taste Test Table? 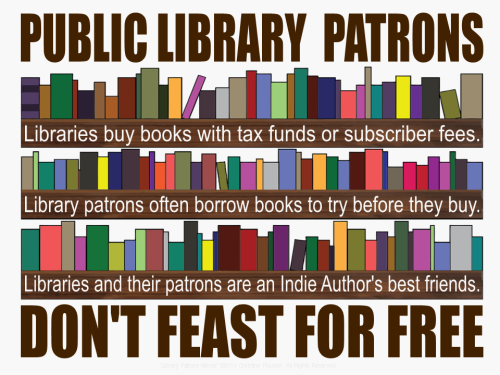 Some Indie Authors believe that readers’ ability to borrow books from public libraries reduces writers’ income, but there is really nothing to fear: Libraries do like to have book donations to stretch their budgets, but they will also buyIndie-authored books, especially from local writers. Also, if you’ve written a great story that a library patron enjoyed, that reader’s satisfaction can be the spur for later sales. Finally, be sure to register your copyright for your works of written art: CIP information provided by institutions like the British Library or the Library of Congress for registered works makes local librarians’ jobs easier when it comes to shelving your books (and it benefits booksellers, too, which can help get your works into their shops).